Join us this Summer for our Bike Nights. 2nd Thursday of the month! 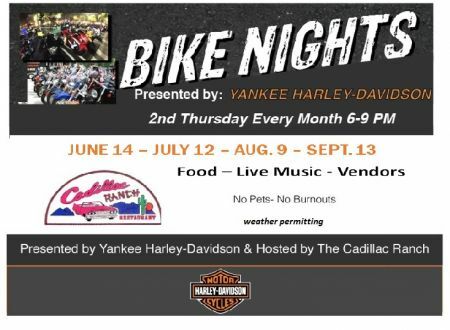 We are excited to announce that Bike Nights presented by Yankee Harley-Davidson will be at the The Cadillac Ranch, Southington CT! More parking, more food and more fun!